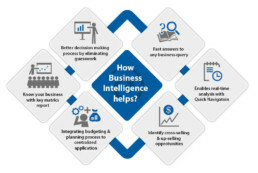 In general, each organization needs Business Intelligence (BI) at some point. For example, when a retail company is started – there was no scope for ERP with minimal business transactions having few employees on the roll. As the business picked up, I wanted to find answers to some obvious questions like “What is the sales trend over a given period?”, “Which commodity is having more demand during festive seasons?”, “What is rate of growth year-wise?” etc. Having said that, even the tiniest organizations need some kind of analyzed data, graphical display adds value. Be it mid-sized or smaller companies (SMBs), they do have same need as the big companies do for using BI. It is required for better visibility of the business performance followed by corrective decisions. In summary, the intelligence reports are equally important for irrespective of the company size. The truth is, most SMBs usually use the Excel spreadsheet as a tool for analysis. Every day they enter the data and prepare the report manually. Several reports created by various employees very often without any real coordination resulting in-appropriate intelligent output. So, when management asks a simple question like, “What is the percent of growth rate compared to that in last financial year?” and the answers don’t match. In addition to that, it will take longer to deliver the reports. With time the company increases, with increase in employees, and thereby hike in transactions, it becomes too much to be handled for analysis. The need for BI is necessitated. To meet the challenges to get an accurate intelligence output, the KPI (Key-Performance-Indicators) & key metrics need to be well defined for the business. These are to be supported by data warehouse and BI reporting tools. For example, as a retail vendor, we need to analyze our business pipeline over the period of the entire year. We could get the fact that the most favorable period is December-January and the most slowdown period is March-April. Based on this intelligence report we plan our purchasing strategy and can minimize the losses. So, for this purpose we did not opt for any expensive software rather we built our own BI Tool with open source components and interfaces of latest trend. 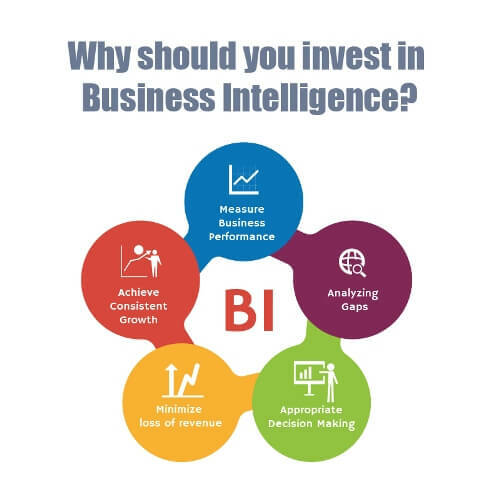 So, we can agree that, in order for prosperity & growth of your organizations, you must consider to have BI in place so that the performance can be measured and appropriate decisions can be taken based on the gaps found. If you are really interested to boost your business, Andolasoft is committed to provide the high-performance business intelligence through reporting, monitoring and consultation. It would be a great pleasure for me, if you contributed your informative idea on this post.